It’s not your imagination, there are a ton of Arrested Development food references. And not just jokes about the Bluth family frozen banana business. A show of this caliber doesn’t rely on burning banana stands alone. Arrested Development takes food to a whole new (mostly gross) level with its signature Hot Ham Water, the Mayonegg, and Club Sauce. And it knows that the important meal of the day is breakfast: mini boxes of cereal stuffed inside a fake turkey at the model home dining room table, just like Grandma used to make, right? From Lucille drinking her breakfast to Buster’s juice habit, there are plenty of strange Arrested Development food jokes and beverage disorders within the Bluth clan. 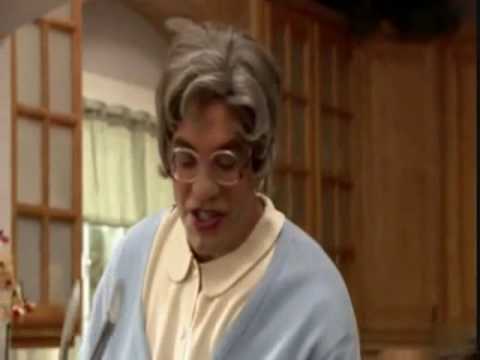 There are dangerous snacks such as Cornballs; strange infatuations such as George Sr.’s thing for ice cream sandwiches and shrimp; and there’s Mrs. Featherbottom’s Banger in the Mouth. Plus, there was that time the entire family went on the Atkin’s Diet and ended up on a carb bender. Between Skip’s Scramble and the many types of Bluth’s Original Frozen Bananas, fans have taken to recreating Arrested Development foods. Some of these Arrested Development food references don’t sound so bad, but no one wants a second helping of Lucille’s ashtray cereal. Did you catch all of these Arrested Development food jokes during the original seasons on Fox or your binge watch on Netflix? Vote up your favorite AD food references and then take the stair car to Skip's. 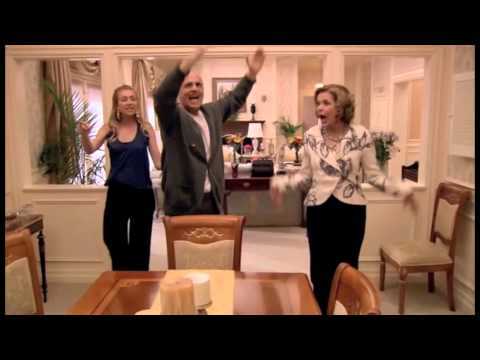 The Bluths are famous for their awful impressions of things. Few Arrested Development fans can get through a chicken dinner without at least one Bluth reference. The Cornballer is super dangerous but hopefully the cornballs are worth the third-degree burns. This failed '70s product dreamt up by George Sr. is still a hit in the Bluth household when there is nothing else to eat and nothing left to lose. Tobias’s Freudian slip (and total denial that he's gay) speaks for itself.